Blue laser beams over the old Hengfeng Road Bridge have brought new life to the old bridge with a sci-fi aura. 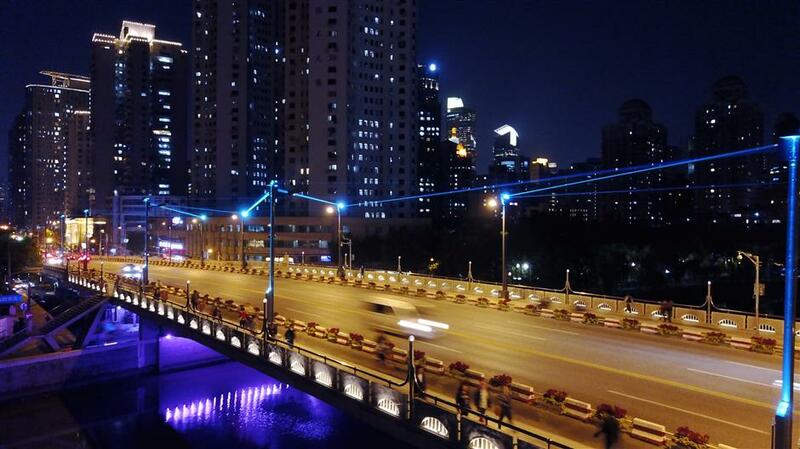 Dim lighting on the decades-old bridge was posing dangers to drivers and passersby, so district greenery authorities decided to add lasers, both to improve safety and enhance the views of Suzhou Creek. Officials said the laser beams are aimed in such a way that they won’t disturb motorists or nearly homes. A new greenbelt nearly the size of 11 standard soccer fields has opened to the public after a year of work. 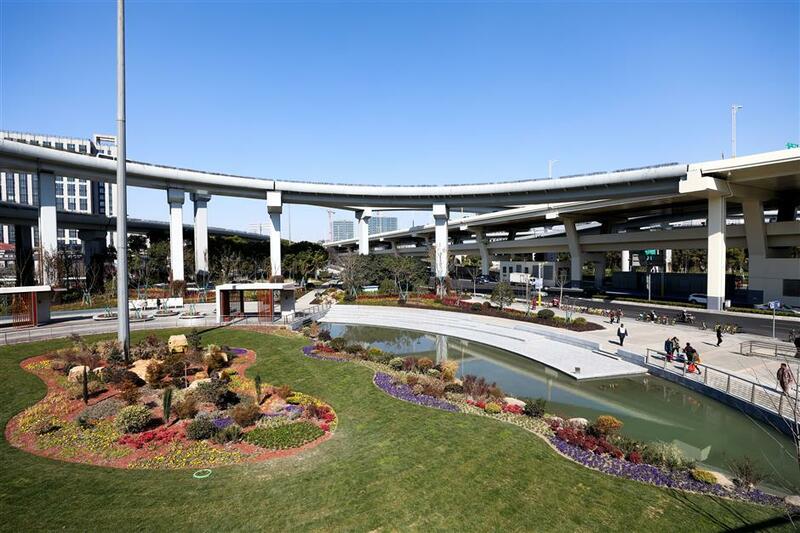 It’s located under the roundabout of the busy Middle Ring elevated road, centered around the intersections of Wenshui and Gonghexin roads. The greenery area was designed under the environmental concept of a “sponge city.” Rainwater can seep through and flow into an underground system for purification and storage. Above the ground, the area is planted with trees, pink grass and other shrubbery, providing color with the changing seasons. Xikang Park on Xikang Road reopened to the public after a 94-day renovation. Originally built in 1951, the park is a tad larger than half a standard soccer field and offers retreat and recreation facilities for nearby residents. Under the renovation, a new drainage system was installed, pavilions and corridors were repaired, and plants were added. The park opens 5am to 10pm every day from May 1 to October 31, and from 6am to 9pm for the rest of the year. Admission is free. 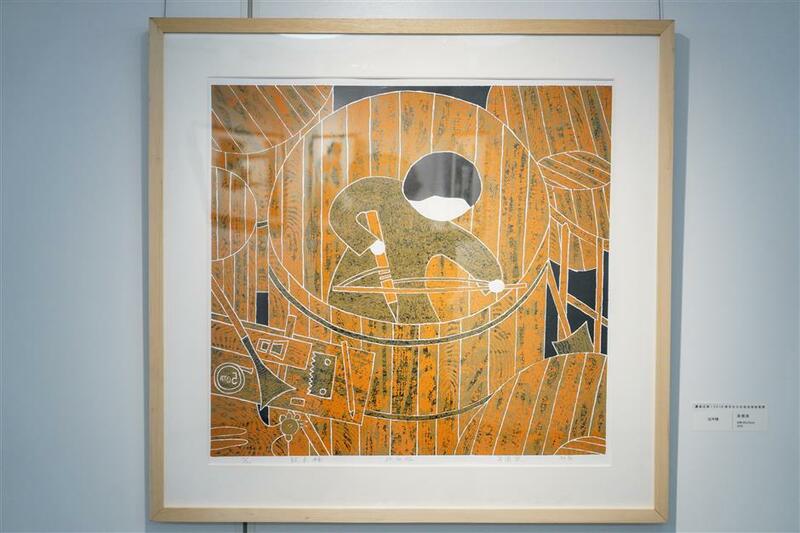 Eighty-four printmaking works from 54 artists will be displayed at the Jing’an Cultural Center through March 4, free of charge. The themes of the works cover Chinese tradition and social vicissitudes. Printmaking originated in China during the Tang Dynasty (AD 618-907). At the time, it was the only technique available for reproducing a picture in large numbers. The technique passed to western countries through the Silk Road. 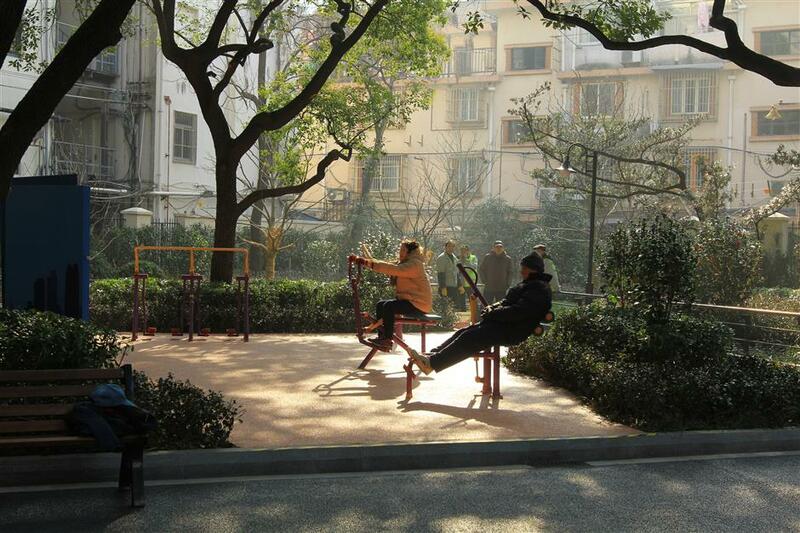 Two mini reading pavilions in Lane 1129 of Changzhong Road that replace a torn-down illegal structure have become a popular destination for local residents. 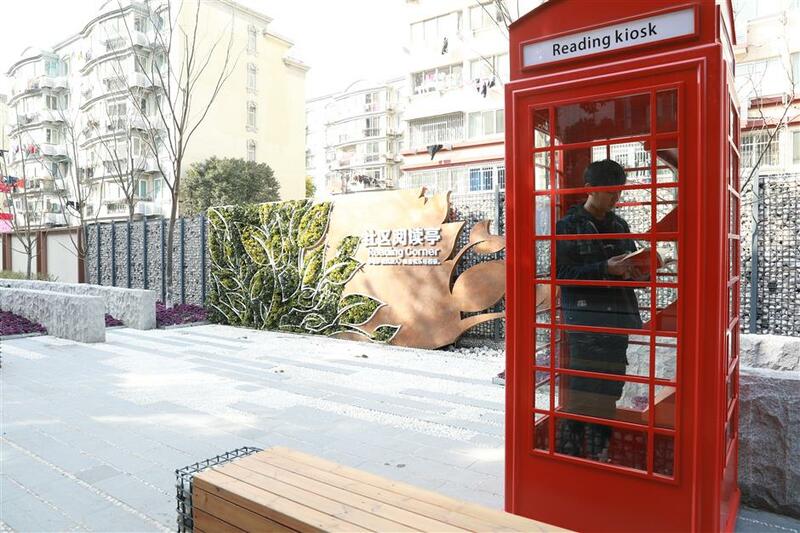 The red pavilions, in the shape of telephone booths, are stocked with about 200 books donated by volunteers and social organizations.People can come in and exchange their books for others. The pavilions are open from 9-11am and 2-4pm every day. It comes as no surprise that Nanjing Road W. ranked as the most popular shopping area in downtown Shanghai, according to a recent survey. Nanjing Road W. is popular because of its diversity of shops and merchandise, its convenient location and its growing array of cultural activities. 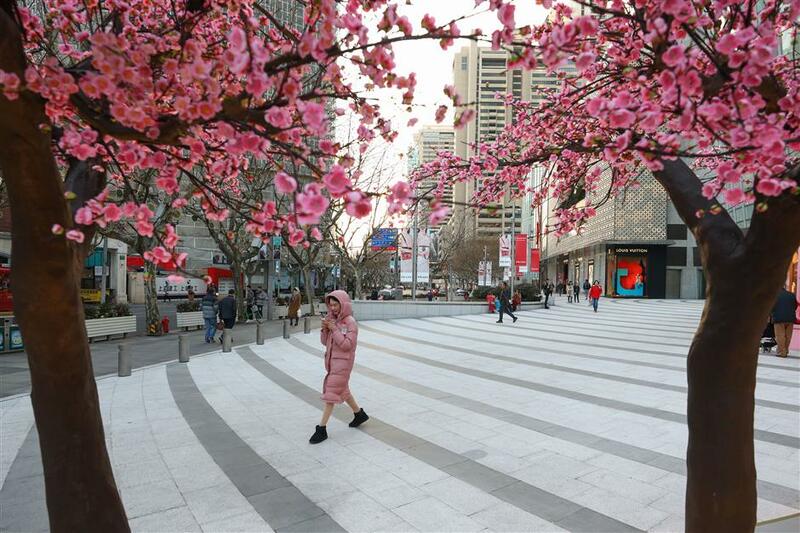 The survey found that people most love shopping in the Jing’an Temple area on the west side of the road. Last year, the area had per capita annual consumption of 2,498 yuan (US$394), topping rivals such as the Xujiahui and Lujiazui areas.